We’re Your Most Experienced Digital TV Antenna and Electrical Specialists in Rockingham, Mandurah, Baldivis, Byford and across Perth. From digital antennas & electrical points, to solar inverter repairs and ethernet cabling – no matter what the job may be, we’ve got you wired. At White Horse Electrical & Antennas, we understand you want your problems solved and your issues fixed as fast and as cost-effective as possible. Unfortunately, over the past three decades, we’ve seen a number of cases where an unreliable tradesman in Rockingham, or one of the many suburbs across Perth for that matter, has claimed to fix your electrical issues, but really hasn’t done the job well. This is where we come in. We’ve built our reputation on trust over 25 years, both in our work and our electricians. 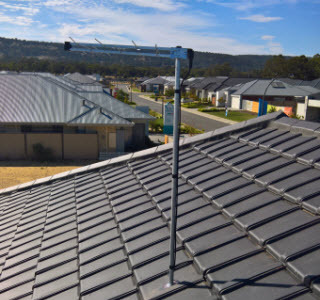 It’s our belief that one electrician should be capable of performing all of your antenna and electrical needs, whether it’s a problem with your solar power inverter, or simply a networking issue. This is what our team have set out to do. We can help if you need a digital antenna or an electrician in Rockingham. We’re your one-stop shop for all things electrical and antennas in the Mandurah, Baldivis, Byford and Perth areas too. We pride ourselves on our expertise, professionalism and the fact that we’re local. Say goodbye to multiple tradesmen and expensive invoices, and say hello to White Horse Electrical & Antennas by calling us on (08) 9525 5559, or get a free quote online. Looking for digital antennas in Rockingham, Baldivis or Byford? 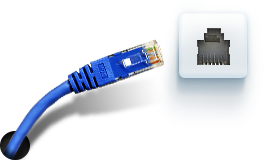 Or maybe a home networking solution? Whatever it may be, our friendly antenna man in Rockingham at White Horse Electrical & Antennas & Electrical can help. With prices starting from as little as $140, you can have a fully installed, brand-new digital antenna for your home. But not only that, we don’t use sub-contractors, meaning we pass on these savings to you. Now, that’s real value! For more information about booking an electrician in the Rockingham, Mandurah, Baldivis and Byford areas, be sure to get a quote, or call us on (08) 9525 5559.